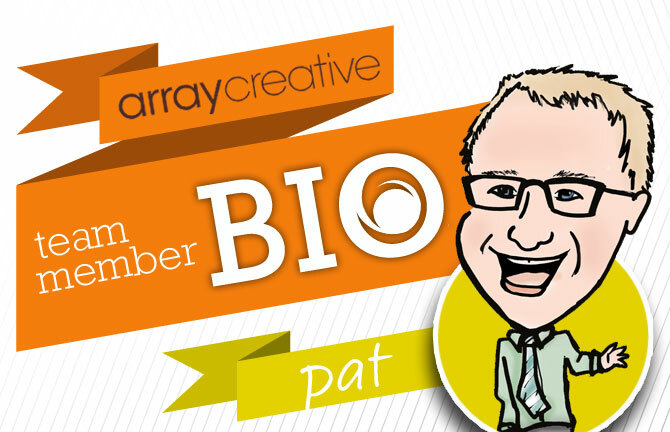 A true Akron native, Pat has an extensive career as an executive and consultant. His impressive background in management and strategy consulting spans over 15 years, including CRM, finance, accounting, marketing and development experience. Many of his skills have helped take Array to the next level operationally. As well as being an active member of the Akron community, Pat is a husband and father. When not in the office you can find Pat with his wife (Amy) and daughters (Mia and Evie) enjoying any number of activities, like swimming, golfing, biking, skiing or just hanging out with family and friends. These are just a few things the Dalessandro’s love! Of all the great smells I can think of, I have to say my favorite is the way a wooded trail smells in the fall. It is a three-way tie between my wife and my two daughters, Mia and Evie. It still freaks me out when Evie (4) calls me out on anything. Be careful, little kids can read their parents better than anyone. Brown and Orange – I bleed brown and orange. Yep, my wife burns water so I have to. The Accidental Creative by Todd Henry – An awesome read for those of us marketing communication pros who work with creatives. I broke my hand in college. It had something to do with beer.